‘A Song For You – Season 5’ starts off with the hottest K-Pop girl group! OH MY GIRL will open up the 5th season of ‘A Song For You’! 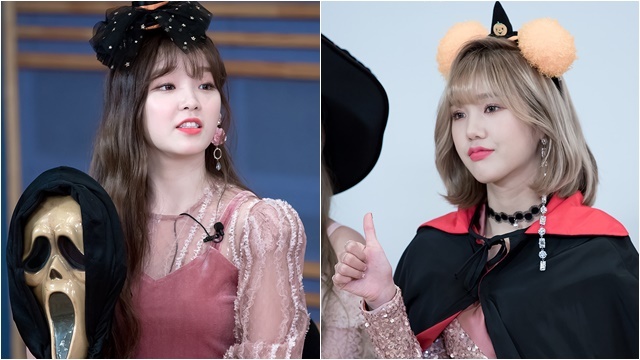 On the first and upcoming episode of KBS Global Request Show ‘A Song For You – Season 5’, OHMY GIRL will appear as the first guest, and they’ll be in Halloween costumes! At the request to create a Halloween-like atmosphere from American fans, OH MY GIRL and MC Ryeowook have prepared various props. Ryeowook shows off a knife stuck in his head, while OH MY GIRL’s members are wearing cute witch hats and capes. OH MY GIRL sings ‘Our Story’, a song from their 6th mini album which was released last month. It is a fan song that expresses their gratefulness for the fans’ love. ‘A Song For You’ is a music program that enables K-Pop stars to communicate with their global fans. Stars will present the stories of fans from around the world, and they will hold special concerts exclusively for that fan! During season 1, which aired in 2013, EXO appeared as the guest and the episode reached 1 million views on YouTube. BTOB, AOA, and BTS also held special stages for the global fans. ‘A Song For You Season 5’ will premiere on October 29 on KBS World.